Okay, so over the weekend I was determined to create my weekly menu plan before the holiday weekend started. I usually try to have my menu plan completed by Friday evening. Well, after looking on Pinterest for some meal inspiration. I stumbled up a blog with a monthly menu plan, and of course I thought to myself “how cool would it be to create a menu plan for a month”. If you follow me on Instagram you probably saw this post coming. Well, that’s exactly what I have done; I probably haven’t done it in the most frugal way as possible. However, creating a monthly menu plan for me was more about prepping in advance and having an idea of what I would be making in addition to providing my family with new recipes/meals. We get so tired of the same meals… I had no idea how many recipes that I would be inspired to make from Pinterest. I’ve been so inspired that I have already started writing down new recipes for next month and my shopping list. I also tried a couple of different baking recipes that I will share. I also plan on sharing the meals that my family enjoyed. Anywho, I am soooo excited about trying new recipes *insert happy dance* and I can’t what to share so of the tips that have helped me out along the way. Yes! I am so doing this. 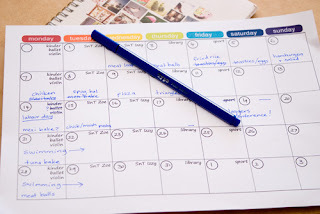 I find my life is so much easier when I menu plan and it makes my trips to the store efficient and effective. Totally printing out that planner. Thank you for sharing. Wish you would've shared what you are cooking so I could've stole yours!! I cannot do it by the month just by the week! Welcome to Social Fabric! hello! I linked up but there's no one above me? thanks!